Many critics laud such films with some praises it does deserve because it is almost useless to offer their full opinion. Harvey Weinstein, whose company released The King’s Speech, is a master at marketing these types of movies. He knows to accentuate the performances and suggest that this is something different. At times it is, almost by accident. In an age where people find it more difficult than ever to express themselves and form an identity in an ever-evolving world, The King’s Speech finds itself in the curious company of other films this year like The Social Network or Black Swan. All protagonists, challenged by their peers, parents, partners or all of the above to conquer the world, suffer for it in many ways. That’s where the comparisons end, as this is the uplifting film filled to the brim with mandatory British irony and those others are, well, unique. 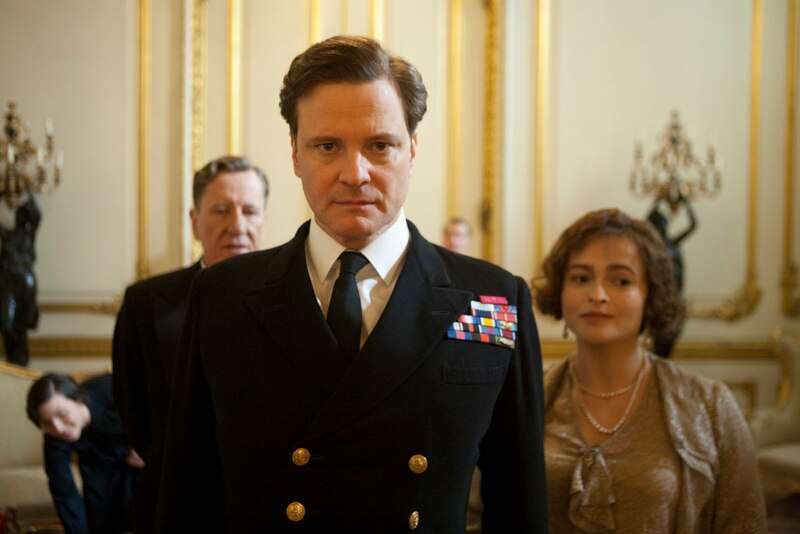 One thing The King’s Speech has that those others don’t though is Colin Firth. His face is a seemingly limitless tool of expression that he uses to great effect. We saw it destroyed by grief last year in A Single Man after finding out his lover had died. Here, we see the torment and anguish behind his eyes as he struggles to express the words wracked around in his brain for so long. His brother torments him even in adulthood, and his father scolds him after watching him stumble through an address. In a year when acting has largely been overshadowed by film making (a welcome surprise), here is a performance that Academy voters can all feel comfortable writing down. 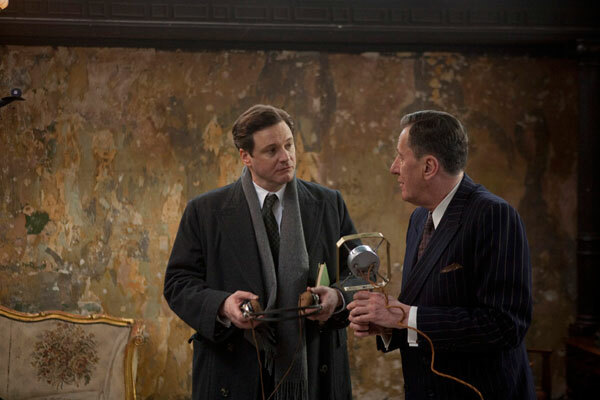 Geoffrey Rush adds perfect amounts of mischief and warmth to his role as Lionel Logue, the king’s speech therapist. The best scenes in the movie are between Lionel and the king, and director Tom Hooper often lets the camera linger in the finely detailed rooms while he gives his terrific actors close-ups. In the opening scene, we see a king speak and his wife look on in anguish at his humiliation. Sadly, beautiful moments of humanity like these are few and far between for Helena Bonham Carter. She does what she can with this role as the Queen but her tremendous talent is often buried beneath her costumes, as is the case in many period dramas. It is to that disappointing period piece end that we find this film. Though the king may find his voice and deliver a speech to rally his citizens to the cause of war, Hooper’s film at times feels tedious and almost always feels unnecessary. Despite bursts of humor and terrific acting, it is in that lack of necessity that the film finds its true connection to the British monarchy. This entry was posted in Reviews and tagged British actors, Colin Firth, Geoffrey Rush, Helena Bonham Carter, King George, King George VI, Oscar bait, Oscar worthy performances, Speech impairment, Stutter, The King's Speech, Tom Hooper, Winter 2010 movies, World War II, World War II Movies by matterspamer. Bookmark the permalink.